Bob Terry begins his tenth year of coaching basketball and his seventh at Brea-Olinda. In his first two seasons at Brea as the freshman coach, Terry won two Orange League titles and had an overall record of 43-2. He then joined as the varsity associate coach where he led the varsity to an Orange League title, two CIF semifinal appearances and an overall record of 50-9. In the last two years as the official head coach, Terry is 50-11, with two straight Orange League titles. Last year he led his troops to the CIF Championship game at the Arrowhead Pond. That was only the second appearance for Brea in a final. The last time the Wildcats made it to the finals was way back in 1961. For his efforts, Terry was named the Orange League Co-Coach of the Year, for the second straight year, and was also named Orange County Coach of the Year by the Los Angeles Times. A 1987 graduate of BOHS, Terry was an All-Orange league performer in his senior season, finishing with 18 points and 9 rebounds per game. He guided the Wildcats to the league title and to a second round of the CIF playoffs where they were 4 points away from upsetting the #1 seed. After a two-year hiatus he enrolled at Fullerton Junior College wher he averaged 20 pointsa game in his two years of playing. He was a two-time All-Conference selection and in his sophomore season was selected to the All-State team. He is the fourth leading scorer in Hornet history and he still holds many individual records. He holds the school free throw record for percentage in a season (90%), in a career (89.5%), most free throws in a game (18), and most consecutive free throws without missing (36). 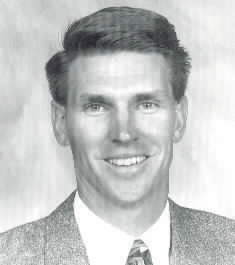 Terry continued his career at Azusa Pacific University and in the 1992-93 season led his team to a 30-4 record and a #1 ranking in the country. Averaging 17 points and 10 rebounds a game he was named the NAIA District 3 Player of the Year and was selected to the All-American team. Bob and his wife Dina have two sons. Christopher (7) and Matthew (2) and live in nearby Placentia. Terry received his bachelor's degree in sociology from Azusa Pacific and is working towards his masters in physical education, also at Azusa Pacific. He is beginning his fourth year of teaching. He teaches physcial education at Brea Junior High. Click the envelope to email Coach Terry.